The mother of a friend of mine used to say that if you don’t know where you’re going, it’s good to know where you’ve come from. My understanding of what she meant was that a sense of family, heritage and values shapes identity and gives us strength in the face of uncertainty. 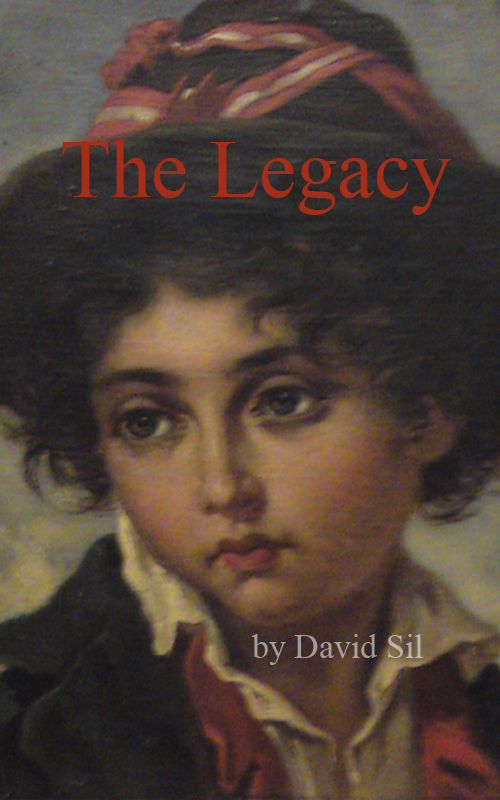 ‘The Legacy’ by David Sil is a tribute to the grandmother he adored as a small child and whose memory he has always cherished. Not only is this book a beautifully-crafted depiction of a child’s awareness of authentic love and affection, but also a compelling story with a fascinating, unexpected twist, adorned with a thread of philosophical pearls in the form of his grand-mother’s Maxims. She was undoubtedly a formidable presence whose strength of character, elegance and uncompromising confidence come across almost palpably in the pages of his book, yet we only see her through his child’s eyes. One can imagine that he has inherited her penetrating gaze, which can inspire both disquiet and intense affection, her love of the most exquisite precious jewels and the elegance of a natural stylist, for whom life and art are facets of the same skilfully polished stone. A ray of sunlight, shining through his student lodging’s window, illuminating a fine cut crystal perfume phial, a memento from his grandmother, points him to other hidden treasures that she bequeathed him.